Log into your YankeeCandle.com account before your start shopping. When you add items to your Shopping Bag, they’ll automatically remain there for 30 days. Browse on your smart phone, desktop computer, laptop or tablet—as long as you are logged into your account, all the items you add to your Shopping Bag will be saved and can be accessed from any device. Simply log in on a different device to view your Shopping Bag. Note: You must log into your Yankee Candle account when adding item(s) to your basket to take advantage of multiple-device access to your Shopping Bag. In order to access items in your saved Shopping Bag from a different device, you must also log into your Yankee Candle account on that device as well. 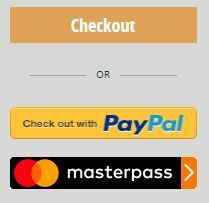 To use an online payment system, select the online payment system of your choice listed directly under the "Checkout" button. To pay for your order with a Yankee Candle Gift Card, enter the card number and PIN number on the “Payment Information” screen at Checkout. You may choose to pay for all of your order or only part of your order with your Gift Card balance. For more detail, learn how to redeem a Yankee Candle Gift Card during Checkout. Note: With the exception of Yankee Candle Gift Cards, only one payment method can be used per order. Paypal Returns: If your purchase was made using PayPal, your refund will be issued in the form of a Yankee Candle Gift Card. Yankee Candle periodically runs promotions and special offers. These offers enable you to purchase exceptional Yankee Candle products at a great value. Occasionally a "Promo Code," may be needed to take advantage of the offer. The "Promo Code" is entered in the Shopping Bag and if all requirements of the offer are met, you'll receive the discount associated with the promotion. For more detail, learn more about how to redeem special offers and coupons on our website. You will have a chance to review and verify the information you have entered during checkout and, if no changes are necessary, you can proceed to "Place Your Order." Within approximately 24 hours, you will receive an email confirming that your order has been received. Once your order has shipped, your credit card will be charged and we will notify you by email with your tracking information. To place your order by phone, please call the Yankee Candle Customer Loyalty Team at 1-800-243-1776 between the hours of 8:00 am - 11:00 pm ET (Monday - Friday), 9:00 am - 9:00 pm ET (Saturday & Sunday). Shipping to multiple addresses is not available at this time. If you’d like to send an order or a gift to a different address, we recommend placing a separate order. You can add a gift message to the item(s) in your Shopping Bag. While you're in the Shopping Bag, look for the "Gift Message" checkbox under each item. Once you check "Gift Message", a text box appears that enables you to enter a gift message up to 90 characters in length. This gift message will be added to the packing slip. Once you’re ready to checkout, the Express Checkout button appears on the Shopping Bag below your item(s). If you select Express Checkout you will be taken to the final “Review and Submit Order” page. Then you can review and edit your shipping information and payment method. When you determine that the information is exactly as you want it, select the “Submit Order” button and your order is processed. If you leave something in your Shopping Bag, we’ll send you an email reminder with a list of the items you have added there. You’ll can easily return to your Shopping Bag from the email, or use the email to continue shopping. With a YankeeCandle.com account, you can create a Wish List. Create a list of products you’re interested in and share the list with others via email or social media. It’s a great tool for sharing gift ideas with friends and loved ones. Simply check the Gift Message box in your shopping cart to add a personal message to your order. Your note will be printed on the packing slip and sent directly to its recipient with your gift. 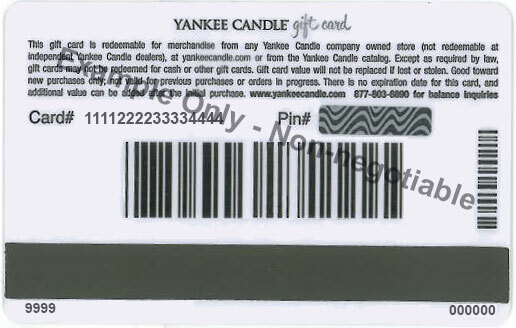 Gift cards are pre-paid cash or virtual cards that can be purchased and redeemed online at YankeeCandle.com, over the phone through catalog sales (1-877-803-6890) or in any one of our Yankee Candle retail store locations. (E-Gift Cards can be purchased online only.) To locate a store near you, please visit our Store Locator. Store Locator. Order a Traditional Gift Card by calling 1-800-243-1776 our visit our Gift Card page. We’ll mail a physical, plastic gift card to the recipient with no shipping fee using economy shipping. You may select expedited shipping options but a shipping charge will apply then. To purchase an E-Gift Card, please visit us online or call our catalog sales department at 1-800-243-1776. A virtual E-Gift Card will be emailed to your recipient (usually delivered in just minutes) or you can select a specific delivery date in the future—up to 12 months out. You can also select our “Hand Delivery” option that lets you generate a .pdf to print out and comes with instructions on how to fold your printout to look just like a gift card. Traditional Gift Cards as well as E-Gift Cards can be purchased in pre-set denominations of $5, $10, $25, $50, $75, $100, $150, $200, $250. Or you may choose any denomination you prefer from a minimum of $5 to a maximum of $250 per card. Traditional Gift Cards arrive activated and ready to use. Traditional Gift Cards can be reloaded through catalog sales (1-877-803-6890) or at any of our retail stores. Traditional and E-Gift Cards are in US dollars and are considered the same as cash. They cannot be replaced if lost or stolen. Traditional and E-Gift Cards are not returnable or redeemable for cash except as otherwise required by law. Traditional and E-Gift Cards will automatically close when the balance reaches zero. Any unused balance will be placed in recipient's Gift Card account. When placing an on-line order with a Traditional or E-Gift Card, a credit card will be required to pay for any excess balance not covered in full by the gift card. Two gift cards may be redeemed at one time on-line as part of the same order. How do I redeem my Traditional Gift Card? How do I redeem my Classic Gift Card? In-Store: Simply hand the card to the Associate at checkout. Whatever balance is available on the gift card will be applied to your purchase. Proceed to check out. Once on the "Bill To" page in the Order Process you will be prompted to enter your Gift Card and Access number. If the total cost of your order exceeds the available balance on your Card, you will need to enter a credit card to cover the difference. Online: The back of the Gift Card has the gift card number and PIN that you need to redeem the amount of the card with your order. Example: The back of a Gift Card, with the card number and PIN. The Payment Information of Checkout provides you with a "Pay with a Gift Card" section and enables you to redeem up to 5 gift cards with your order. Enter the Gift Card Number and PIN in the appropriate fields. Example: Redeeming a gift card on yankeecandle.com. To purchase an E-Gift Card, please visit us online or call our catalog sales department at 1-800-243-1776. The E-Gift Card will be delivered via email to your recipient within minutes or at a time of your choosing—up to 12 months out. In-Store: Provide a printout of your E-Gift Card to the Associate at checkout. The available balance on the E-Gift Card will be applied to your purchase. 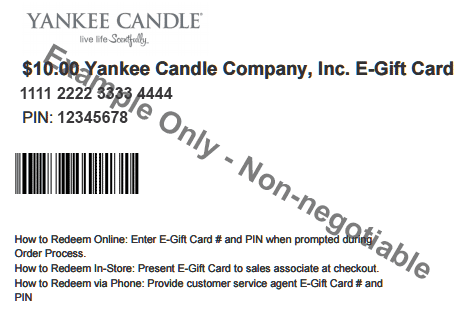 Online: E-Gift Cards can be redeemed on YankeeCandle.com or on our mobile site m.YankeeCandle.com. Follow the prompts to checkout. On the "Bill To" page in the Order Process you will be prompted to enter your Gift Card and PIN number. If the total cost of your order exceeds the available balance on your Gift Card, you will need to enter a credit card to cover the difference. Example: The section of an E-Gift Card with the Card Number and PIN Code. When are order amounts subtracted from Gift Cards? Gift Cards are debited at the time you place your order. Should your order be cancelled, a new Gift Card will be issued (if the full amount was used). If you have any questions about purchasing or redeeming a Gift Card, please contact Customer Service. You can check your Gift Card balance on our website or by calling 1-800-545-6882. The fastest way to send a gift—and now you can personalize it! Choose from ten designs with images and messaging appropriate to many gifting occasions, or create a custom E-Gift Card with your own image and your own message. You can make it unique and truly personal. There are two delivery options. Send an E-Gift Card via email (usually delivered in just minutes) or select our “Hand Delivery” option that lets you generate a .pdf to print out and comes with instructions on how to fold your print-out to look just like a gift card. If you choose to email your e-gift card, you can select a specific delivery date in the future—up to 12 months out. Both email and “Hand Delivery” versions provide the Gift Card number and PIN Code to redeem the card. You can enter a preferred amount for your e-gift card or select denominations of $10, $25, $50, $75, $100 or $250. You can add multiple e-gift cards to your shopping bag, up to a maximum bag total of $500. We’ll place your candle in sturdy packing foam, set it in a pretty box of your choosing—just $2.49. To order gift boxing for your Large Jar or Large Tumbler candle, click the “Gift Box this Item” button and select a gift box from the selection. Then, click “Add To Bag.” It’s that simple— and your gift is ready to give! One gift box per candle. Gift boxes cannot be purchased separately and are not available with Personalized Candles at this time. Rewards Club vouchers can be redeemed during the checkout process just like E-Gift Cards. When prompted during the checkout process to pay with a gift card, simply enter the voucher number. We are required by law to collect sales tax for deliveries to all states in which we have a companyowned retail store. We will automatically calculate the tax rate according to the shipping address. To see if there are stores in the state that you are shipping to please go to the Store Locator. See our Happiness Guarantee below. We want you to love everything you purchase from us—candle, fragrance, home accent. If for any reason you don’t—even if you just change your mind—simply return it to any of our 500+ Yankee Candle Stores for a full refund or exchange. Or send it to us at the web order or store purchase addresses below. Whatever makes you happy is always best. The credit or debit card used to make your purchase. Please include the return form from the bottom of your packing slip for faster processing. A note with your contact number, return address and what you would like in exchange for the returned item(s). If you receive a web or catalog order with an item that is damaged, missing a component or in some other way defective, please contact Customer Service at 877-803-6890 before returning the product. Order confirmations are sent to the email address that you provided to us during Checkout. At this time, we accept orders from international guests who are shipping to addresses in the U.S, Canada, APO and FPO. We are unable to ship internationally, but hope to offer this service soon. Yankee Candle periodically runs promotions and special offers. These offers enable you to purchase exceptional Yankee Candle products at a great value. Each promotion or offer runs for a limited period of time and may have its own requirements for redemption. Some of these offers may require a promotion code to use at checkout in order to redeem the offer. The following section explains the different promotions that Yankee Candle offers, along with requirements for redemption and exclusions. Your promotional discount will be factored into your final order upon checkout and will be reflected in your order summary. Learn more about Yankee Candle promotions and how to redeem promotion codes at checkout. MasterPass™ is a digital wallet service from MasterCard® that stores all your payment card and shipping information in one central location. PayPal is an online service that allows you to pay, transfer money, or accept payments without revealing your financial details.